Drexel LeBow’s School of Economics recently welcomed Marc Melitz, the 2016 Distinguished Visitor, to campus for an academic lecture and conversation with students and faculty. Marc is the David A. Wells Professor of Political Economy at Harvard University and a fellow of the Econometric Society. The Economics Distinguished Visitor program was founded in 2007 to bring a high profile academic to campus. Each year, a visitor is chosen from a list of influential economists at top institutions nominated by LeBow faculty members. The program gives students and faculty a chance to connect with one of the top scholars in the field. 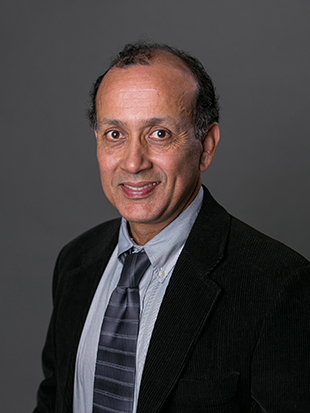 “In addition to learning about state of the art research from the academic presentation, our faculty and students benefit greatly from the one-on-one conversations with the distinguished scholars who provide invaluable feedback on specific research agendas,” says Vibhas Madan, Director of the School of Economics. 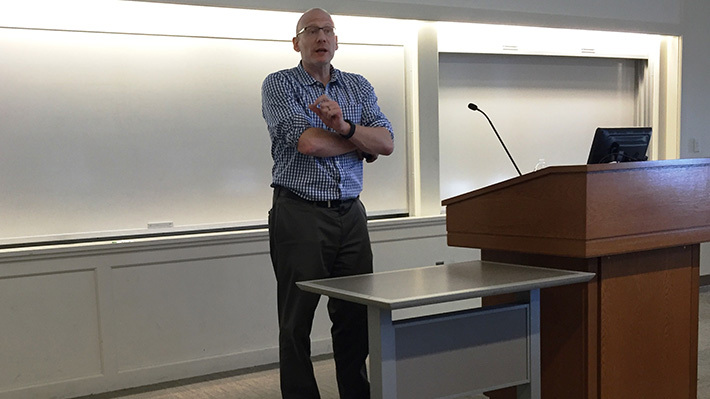 Marc Melitz’ lecture was based on a working paper, written with his co-authors, that focuses on an expansive data set for French manufacturing firms. The paper looked at the impact of international trade on the productivity of these firms and found strong, robust evidence indicating that the trade has a positive impact on the firm level productivity with potential benefits for the domestic economy.